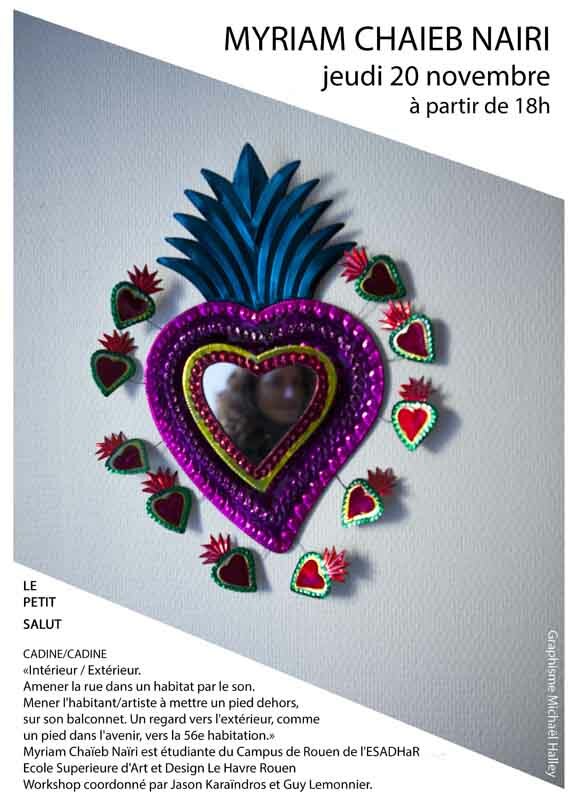 Petit Salut series has become an on-going collaborative platform to create exhibitions within a domestic space. Petit Salut is the name of the street of my 55th home, and is the last page of my book, Fifty-Five Homes. The descriptions of place in this book have served as a starting point for conversations around ever shifting definitions around body and place. A publication of the exhibitions done in 2014-15 including image and sound was released through Edith Labo Publishing in 2015.